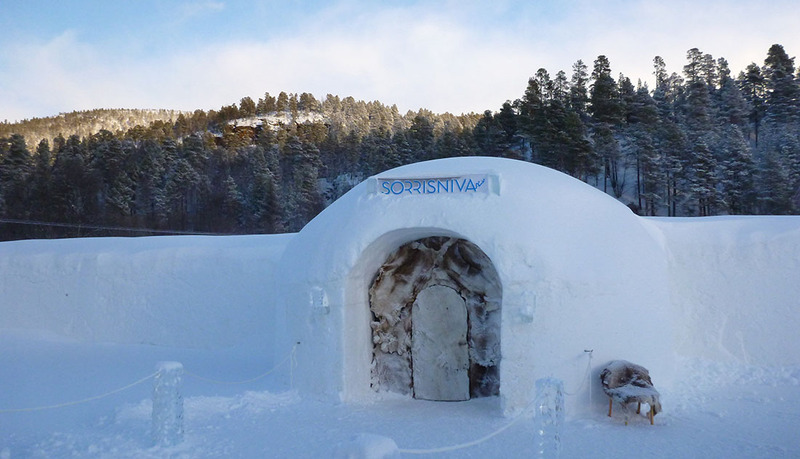 In 1999 the owners had a cool ide about making something unique, and every year since we have built up a new ice hotel in Sorrisniva. We were the first one in Norway and the second in the world to make a hotel entirely of snow and ice! We started with six bedrooms and have grown to be a hotel with twenty-six bedrooms, four decorated suites, an ice chapel, ice bar and a lot of art work. Since the start we have had our own vision with local identity and a new theme every year. We are extremely proud to present a 2500 square meters hotel made of 250 tons ice and 7000 cubic meters snow. Everything made by local workers and artists! To build it up, we use ice from a still water in the valley, and snow is produced by water from the river. The shapes of the hotel are made step by step, and all together our incredible builders use about five weeks of hard work to get it all ready. Since the start we have had our own vision with local identity and a new theme every year. 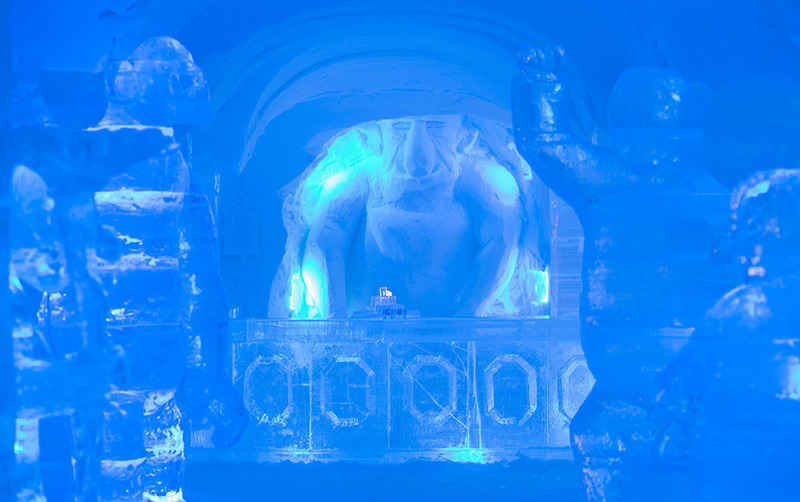 We are extremely proud to present a 2500 square meters hotel made of 250 tons ice and 7000 cubic meters snow. Everything made by local workers and artists! To build it up, we use ice from a still water in the valley, and snow is produced by water from the river. The shapes of the hotel are made step by step, and all together our incredible builders use about five weeks of hard work to get it all ready. We love to share our culture, lifestyle and the arctic part of the world with you. This is the reason we ́ve had themes like the Vikings, Nordic legends and myths, Wildlife of Alta valley and Arctic life to mention some of them. This is all part of our history and we love to learn more about it and share our ideas with you. The quiet surroundings along with the white snow create a magical and silent feeling. Just stop for a while and listen, it’s a wonderful experience. The ice hotel is so much more than what the eye can see. It’s a place to be and a place for sharing. 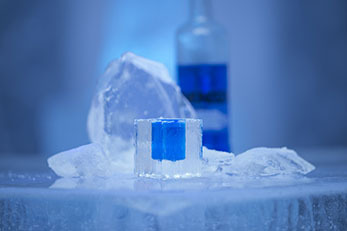 During these years we have had weddings, religious services, dinner parties, fashion shows, ice drinks shared in the ice bar and lots of other events. 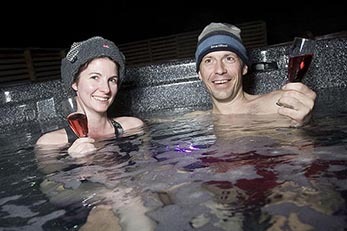 We are humble to be a part of all the special adventures you are seeking when coming to the ice hotel. The quiet surroundings along with the white snow create a magical and silent feeling. Just stop for a while and listen, it’s a wonderful experience. The ice hotel is so much more than what the eye can see. It’s a place to be and a place for sharing. During these years we have had weddings, religious services, dinner parties, fashion shows, ice drinks shared in the ice bar and lots of other events. We are humble to be a part of all the special adventures you are seeking when coming to the ice hotel. Along with these, we have many excellent workers in our staff, seasonal workers in the restaurant and as guides whom we couldn’t have managed without. 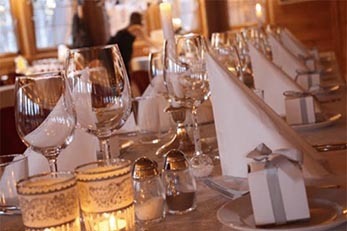 Together we work to present unique and memorable experiences for all our guests.